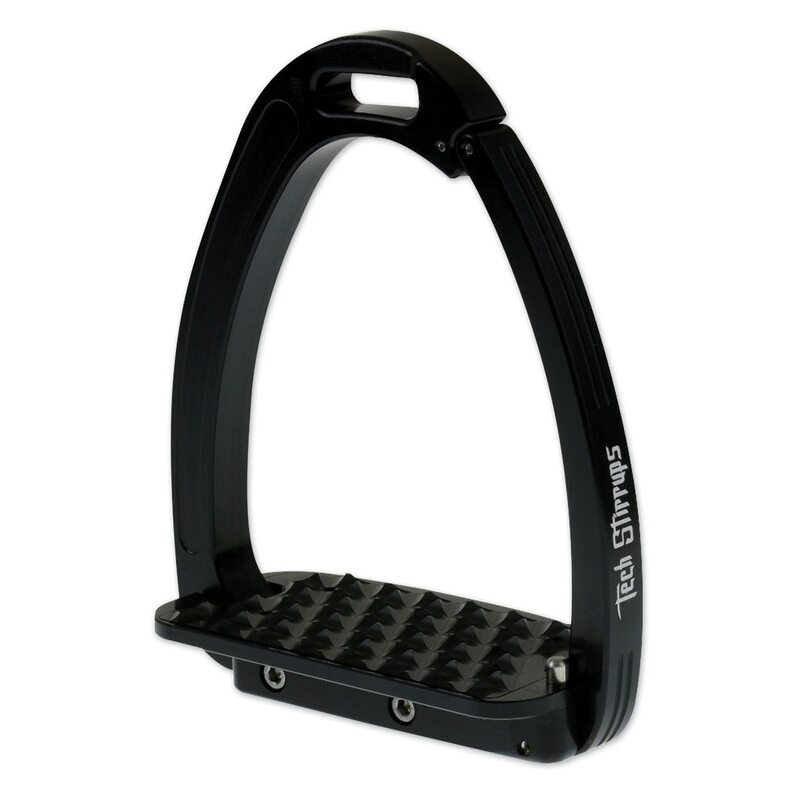 The Venice Iron has a revolutionary magnetic mechanism positioned on the thread that allows the opening of the branch for easy removal of the foot, after which the stirrup branch automatically returns to the original position. The branch will only open if a certain load weight is exceeded. Aggressive tread design allows for perfect contact and grip. 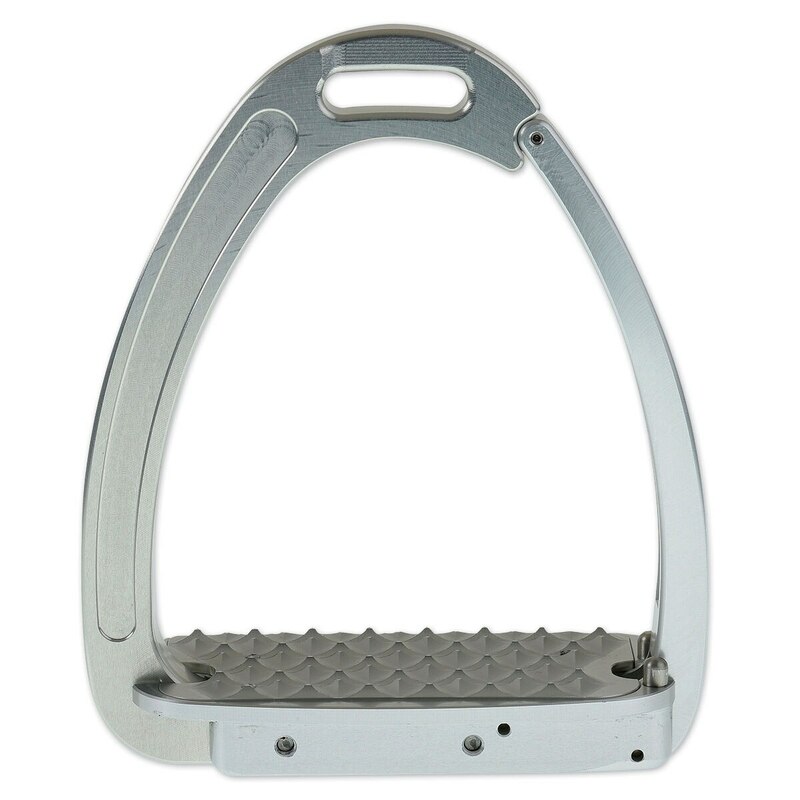 Made in Italy, the patented Tech Stirrups are made from aluminum billet and fitted with stainless steel blocked screws. The treads are treated with nano-ceramic coating, while the rings are treated with a 20 micron atomization to preserve their beauty. Strategically placed stirrup leather eyes provide rider comfort and assist in retrieving lost stirrups. Now available in smaller child's size! 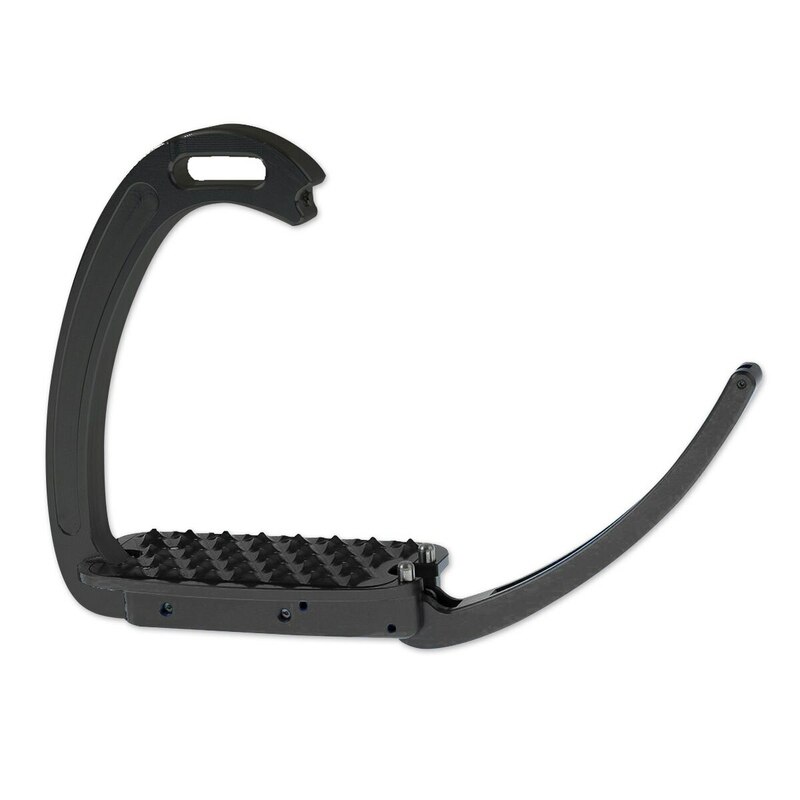 Strategically placed stirrup leather eyes increase rider comfort and assist in retrieving lost stirrups.